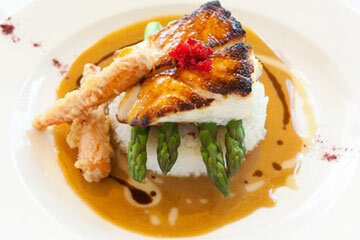 Year after year of critical acclaim and industry awards reveal that Nemo’s is one of the best places to eat in Florida. We’re passionate about serving freshly prepared seafood with personality as well as savory land-based dishes that delight the senses and satisfy the palate. Make a reservation to dine at Nemo’s, and find out why eating in Naples should be your next culinary adventure. At Nemo’s, we’re passionate about food. We care about your experience, and we pay attention to your comments. 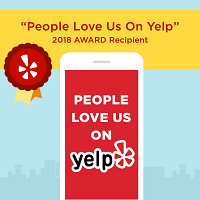 Whether you’re a food critic from the New York Times or a Naples resident who eats at Nemo’s a few times a month, we believe every diner should enjoy an outstanding experience to remember. We’ve earned a reputation as “the BEST and most consistent restaurant in Naples,” and that’s why locals and critics alike return to Nemo’s again and again. 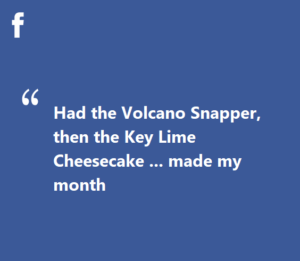 Explore our menus, and you’ll see why visitors to the Naples region call Nemo’s a great place to eat. With an excellent wines and cocktails list — plus savory appetizers that hint at the delicious entrees beyond — you’ll love Nemo’s from the moment you arrive. Make a reservation for dinner, and you’ll have a hard time choosing from our inventively prepared dishes. 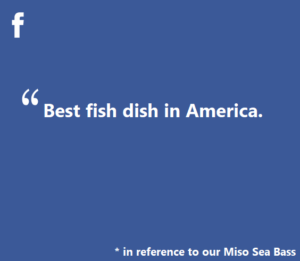 We’re especially famous for our miso-broiled sea bass, but that’s just the start. We serve the best food in Naples because our freshly caught fish includes hard-to-find favorites such as wild halibut, plus inspired choices such as our hot and crunchy grouper bowl. Enjoy the exotic flavor of our pan-seared Asian prime tuna or relax with a classic grilled Maine lobster. Can’t decide? Come again for lunch! Our lunch menu incorporates a delicious mix of Nemo’s dinner classics, including our signature miso-broiled sea bass, plus outstanding options such as sashimi salad, flash-seared tuna pizza, grilled octopus and tuna tacos. Nemo’s delicious beer selection includes local IPAs and hard-to-find bottles, plus popular favorites such as Corona, Stella Artois and Budweiser. Whether you’re at Nemo’s for lunch or dinner, don’t leave without trying one of our decadent desserts. From homemade sorbet and Japanese ice cream to coconut cream pie and chocolate flourless cake, there is something to tempt everyone. Locals, visitors and critics agree that Nemo’s isn’t just a good place to eat in Naples — it’s a great place to eat. Named the Best of Gulfshore Magazine, one of the Best Seafood Restaurants in Southwest Florida and a member of the Trip Advisor Hall of Fame, Nemo’s is obsessed with preparing delicious, thoughtfully prepared cuisine served with a dash of originality. Are you ready to find out why Nemo’s is the “most consistently great restaurant in Naples”? Call us to make a reservation at 239-261-6366, or book online now. More than 10 million people used Gogobot last year to find great places to eat, play and stay, and our members have voted Uss Nemo to be among the top restaurants for South Central Gulf Coast! The reviews your customers posted on Gogobot have earned Uss Nemo a stellar rating placing you in the top 3% of over 2 million restaurants listed. Such praise means you’ve earned the distinguished title of “Highly Recommended” on Gogobot! 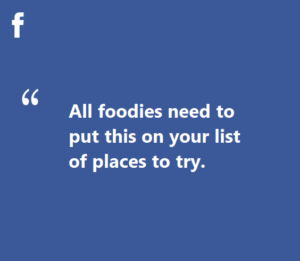 Only the most positively reviewed businesses on Gogobot receive this distinction. “Top notch chef and kitchen staff behind the scenes. Friendly, attentive service. Have been here multiple times and every visit was amazing. Fresh seafood (shrimp, fish, octopus, & more), meats, vegetarian, vegan options- broad menu selection. Apps, salads, healthy stir fries, sides, sandwiches, home made quality desserts, full bar service. Note business hours: restaurant is closed for a short period between lunch and dinner. Due to the quality, this place is popular and can be crowded at times, especially in season. There’s a small area of optional outdoor seating well shaded and sheltered by a pleasant wall of green bamboo. It’s a casual, relaxed atmosphere. Bathrooms are clean. Example of one menu item: The “spicy” grouper nugget appetizer was delightful. Melt in your mouth tender inside with a perfectly crunchy, mildly seasoned light breading. (It wasn’t a hot spicy) Nuggets were nested on a tasty homemade relish/dipping sauce. Crusty homemade fresh bread accompanied our meal. The lunches and dinners are well portioned, you will get full. The fresh ingredients, taste combinations, and attention to detail are superb. Even something as simple as grouper nuggets were prepared with high-end care. The dishes are all visually captivating, sweeping you into an exotic culinary heaven. The fine aromas and tastes complete the blissful experience. We were in Naples for a girls’ trip, and this restaurant was recommended to us by a local. The food was outstanding. Seafood was very fresh and well prepared and the miso glazed sea bass was out of this world! I actually took my remaining portion back to our place to give my husband a try when he arrived that night, but I ate it before he got there!!! I took him back to the restaurant two nights later, and he wanted to go back again. He never does that! Ambiance is fine, but the food is remarkable. I’m craving the Seabass now just typing this…The tuna and goat cheese app was fresh and flavorful, and the lobster risotto is a must. You will need a reservation WELL in advance if you go during high season. I expected kitsch because of the name and decor. The menu is inventive and the execution did not disappoint. I had their signature dish of Chilean sea bass and it was wonderfully prepared and presented. All other meals at the table are equally impressive and tasty. Our go-to restaurant, hands down. Anything you order will be excellent. Some of our favorites on the menu are the cioppino, blackened grouper tandoori, grilled yellowtail snapper, and, if you like something spicy, the original volcano snapper – it is SUPERB!! The sea bass is their best seller and it is always delicious. Friendly staff, great service but if you can, wait to go for dinner until season is over (May-ish) as it can be crazy busy and a bit loud. Lunch is always good too, and they’ll do take-out! We visited USS Nemo while in Naples for a wedding. We would have never run into it as it is in a little strip mall. The restaurant was recommended by our hotel. I had the Sea bass that was out of this world! It was buttery and the presentation was on point. The tempura carrots that accompanied the dish was a perfect pairing. The sea bass is a signature meal and I highly recommend. I sampled the shrimp and lobster pasta dish from my friends plate. It was equally as good. The ambiance, service, food were all excellent. We’ve been frequenting the downtown Naples restaurants. But, have been hearing good things about Nemos, so we went last night. What a surprise. We’ve had great meals at Bleu Provence, Pazzo and The Continental this trip. Nemos topped them all. You have to get over the location, which is in a strip mall. And, the decor is nothing special. But, that is about all for the negatives. The food was exceptional. For appetizers we had the clams in a wine/cream sauce and the sweetbreads. Excellent. I’d order the sweetbreads for my main meal. For a side we had the fried brussel sprouts. They were exceptional. They tasted like they were cooked in a wok with some soy. Not sure, but there was an asian taste to them. I’d definitely try them again. For main meals we tried fish, of course. My daughter had the sea bass and loved it. I had the tuna wellington. It was served with foie gras. Another excellent dish. We didn’t try any desserts. We were too full. The three of us decided it was easily the best food we have had in Naples. We just cancelled a reservation we had at one of the popular downtown locations and we’re heading back to Nemo’s. Can’t wait. My wife and I along with another couple recently had just an awesome dinner at USS Nemo. Who would think that such a gem could be found in a strip center location. While the setting is a bit tight with all of the tables, we found the service and food both excellent. The recommendations by our server were spot on. We will definitely be back. Reservations recommended. We have been to USS Nemos many times. I think it’s the best restaurant in Naples. The food is outstanding and the presentation is outstanding as well. The servers are terrific. Everyone is warm and friendly. My husband and I dined here for our first time this evening. We did not have a reservation on a very busy night (I guess they all are! ); the hostess seated us after a short wait at the bar. Our meal was outstanding. Lovely wine, fantastic tempura grouper, General Tso’s chicken and Sea Bass (outstanding sauce and the fish melted in your mouth). Unfortunately we didn’t save room for dessert, but they sounded yummy. Great food, great service. A repeat for sure. We dined here with two other couples. The freshness, quality, presentation, and service was truly outstanding. The Sea Bass was terrific, the Hogfish was perfectly prepared. Appetizers of crab cakes was a truly gourmet experience. 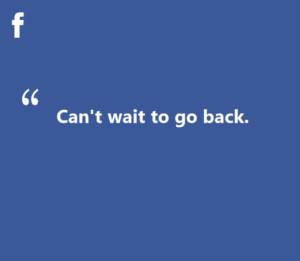 We will absolutely return again and again. Ate here on Friday night while we were visiting Naples to see the Templeton Shootout. We’ve been here before and we just had to return to again try their signature sea bass entree. It was as delicious as last year and the year before! They have it perfected! Yes it’s noisy and yes it’s very crowded. We booked 2 weeks ahead to make sure they would have room for us. There was just enough for the 2 of us to be squeeze in and eat this amazingly prepared fish!! Very good service as well considering how busy it was. My estimate was that 80% of the crowd was eating the bass! Every November, when we visit Marco Island, this restaurant is always a must! We have come realize that it doesn’t matter what you order, everything is amazing. The ceviche appetizer had 1 problem – there wasn’t enough of it! The 4 of us were fighting over it. Our meals were so delicious and always keep us talking about it for weeks. As for the atmosphere? It is what it is….it’s loud, it’s crowded, it’s chaotic, etc. Who cares? The food is SO worth it!! This is basically as good as it gets in Naples and we’ve tried at least 5 different seafood places this trip. The reviews are on point! I’ve been here twice, once for lunch and another time for dinner. I will say I love their taco choices but they don’t offer the Japanese style choices at lunchtime (e.g., spicy tuna or salmon tacos) and that was a bit of a disappoint. Nonetheless, they still had their infamous sea bass at lunch and portions are the same but way cheaper. Yay for that! I had it my first time there and demanded that my best friend order it and nothing else. We can’t mess with the best, right? We also got to try the sweet potato fries and the grouper taco as starters and both were delish. At the end of the day, it was unequivocally the best of breed for Naples in terms of seafood. Tonight’s food was so good and everyone in my party loved their dish. The prices are very fair and the quality of the dishes, atmosphere and presentation can hardly be matched. Food is outstanding. Menu innovative and not super expensive. The place was very energetic. Seating is fairly tight, but this allowed me to see what everyone else was eating, though that only complicated the decision. Wives went for the sea bass (very worthy of the accolades) while the husbands split the black grouper and sea scallops. Both were delicious, but the nod goes to the scallops. Service was good, no complaints, but nothing to rave about. Friendly and helpful, but busy. Desserts were also good. The winner was the profiteroles. “5 stars. Why? Because the Miso-glazed Sea Bass, that’s why! Every dish at USS Nemos is an accomplishment but there’s something magical about their knockout Sea Bass, so rich and buttery. The New York Times once put it on their top ten reasons to visit Naples. Yes, it’s THAT good. “Are you freaking kidding me??? Am I still alive? Have I not gone to heaven? The food is THAT amazing. Holy fish amazingness. I am speechless. But here were go… Bear with my awe. To begin with…we ordered the crispy grouper and grilled octopus. The heaven of appetizers. For real. The flavor combinations umm wow… The grouper had chunks of candied walnut along with creamy cabbage strips and roasted pineapple. I wasn’t a cabbage fan until now. Sign me up.